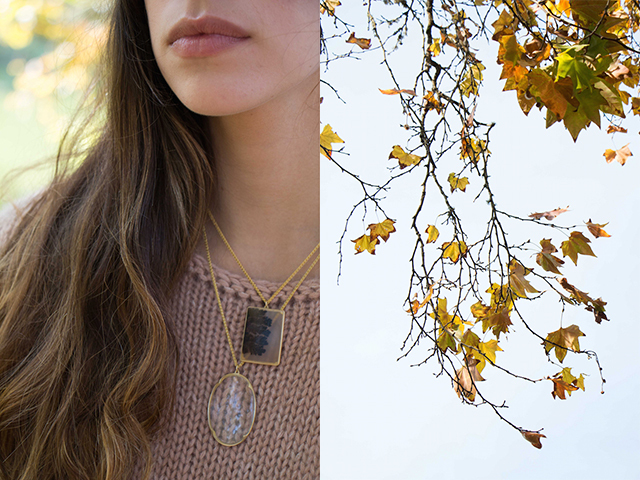 Soft sweaters, rich-hued stones and autumn leaves define Fall here at Metier. 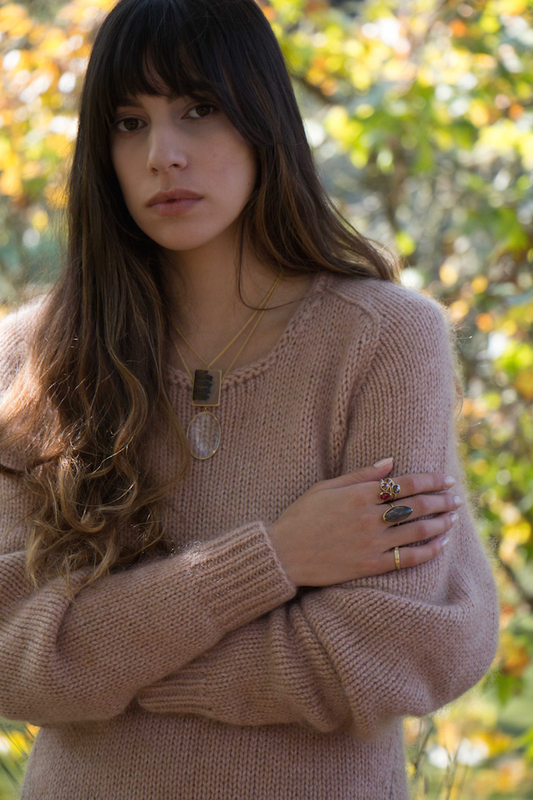 Lovely layered rings and necklaces abound, adding subtle sparkle to cozy knits. 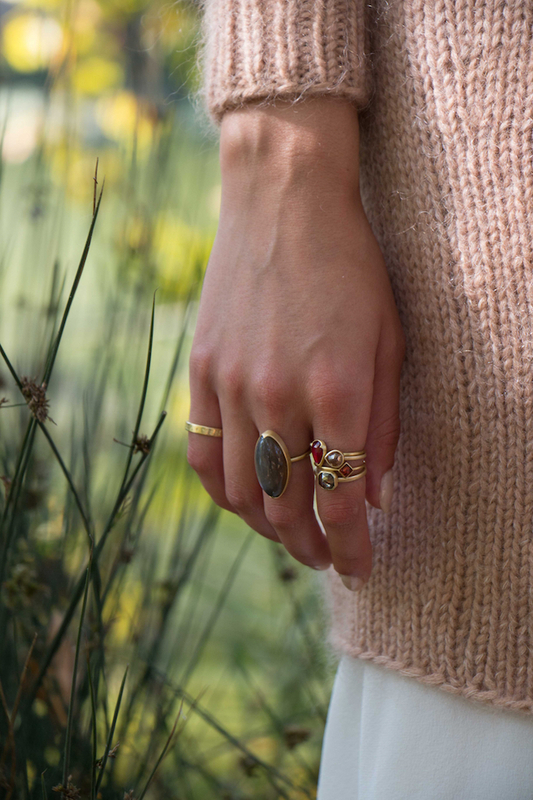 Loads of pretty new gems and one-of-a-kind pieces fill our cases. Check out the Fall pictures below for more details and drop by our jewel box in Hayes Valley or visit our online shop. Gabriella Kiss 18k gold, crystal lens and dendritic agate necklaces. Gabriella Kiss 18k "Omnia Vincit Amor" band ring (little finger), Gabriella Kiss 18k and moonstone marquis ring (middle), Gabriella Kiss 18k ruby teardrop ring, Rebecca Overmann 14k red diamond teardrop ring, Gabriella Kiss 18k and diamond-shaped garnet ring and Rebecca Overmann 14k sienna diamond ring (ring finger). Photography by Rebecca Goldschmidt. Model, Katie Chavez. Ryan Roche sweater and The Podolls white silk slip available at The Podolls.